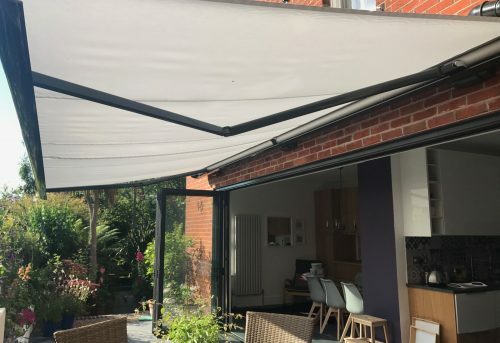 We have just installed this high quality Weinor Electric Awning to compliment a stunning kitchen-dining room refurbishment at a property in Southampton. 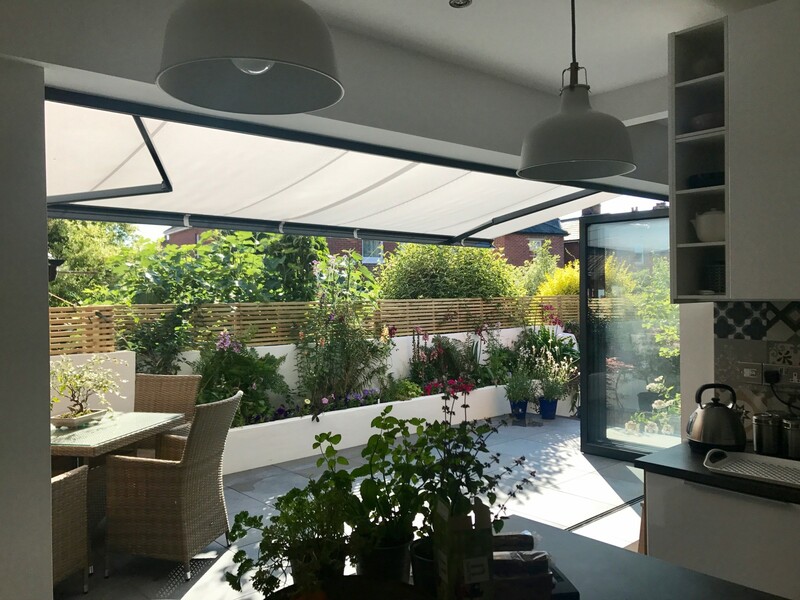 Our client has transformed this outdoor space with beautiful landscaping and new bi-fold doors and wanted a shaded area to enjoy alfresco dining during the day and in the evenings. 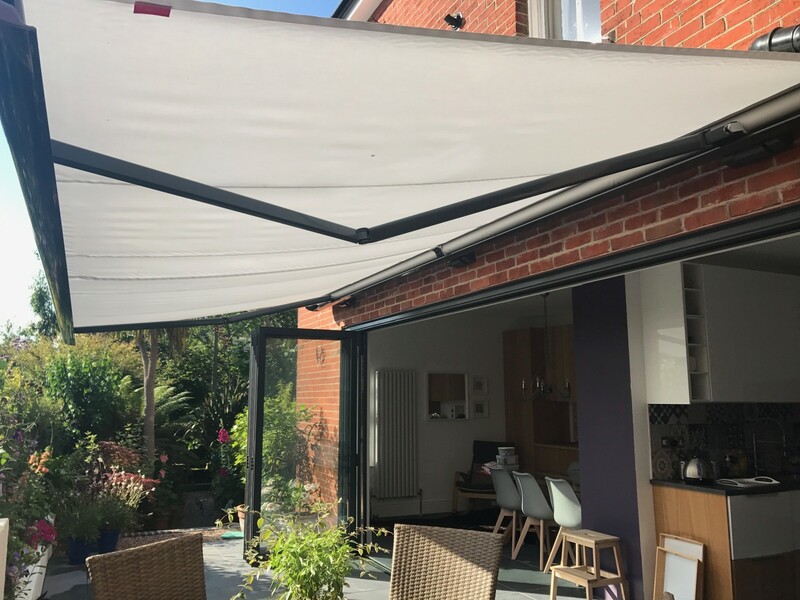 At the touch of a button, the awning can now be extended from the kitchen out over the patio area to create a lovely secluded area that can be enjoyed all year round. 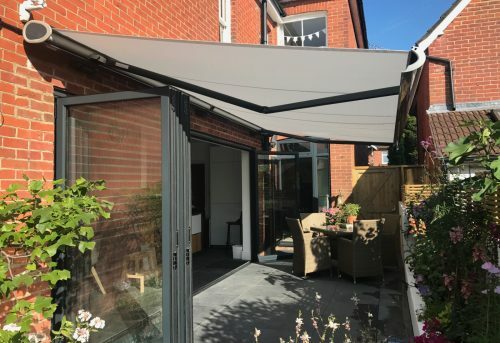 Very high-quality electrical awning, good price, quick and efficient installation. Happy to recommend Awningsouth Ltd. 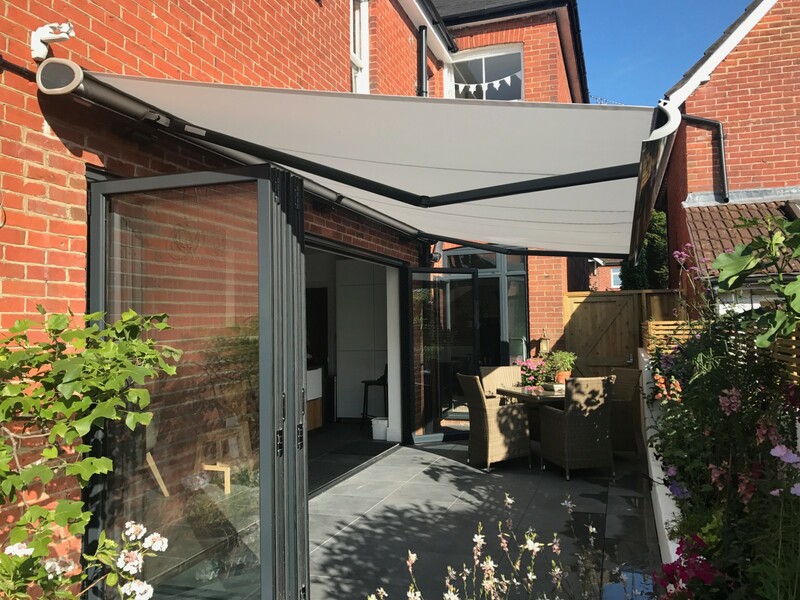 This 3-metre projection patio awning was finished in RAL 9016 with a plain natural colour.